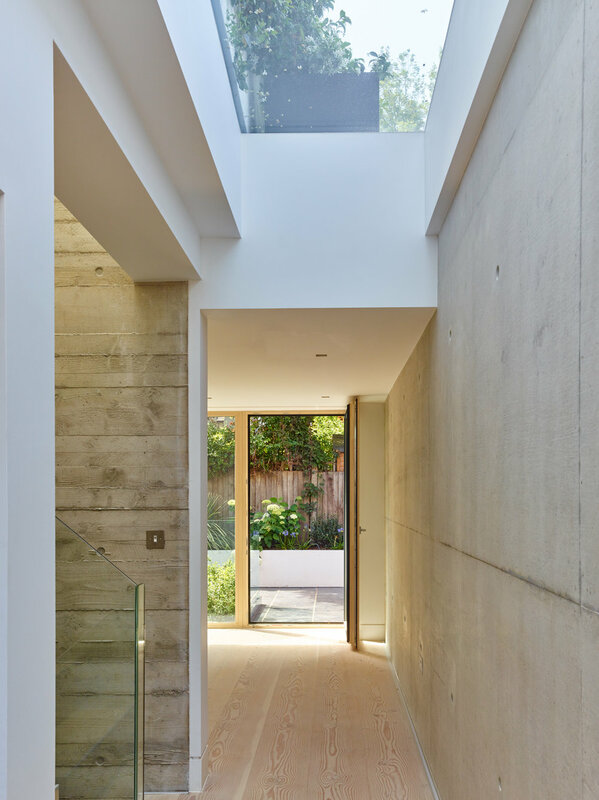 Overcoming a fraught three year long planning process, this house sits quietly on the site of a former garage in Chiswick. 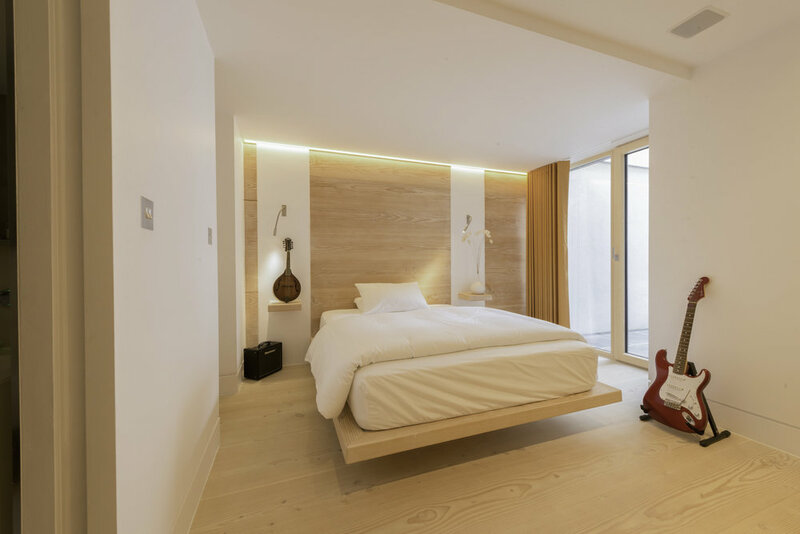 Belying its exterior appearance, the house provides three bedrooms, generous living space and outdoor amenity achieved through the additional of a basement level. 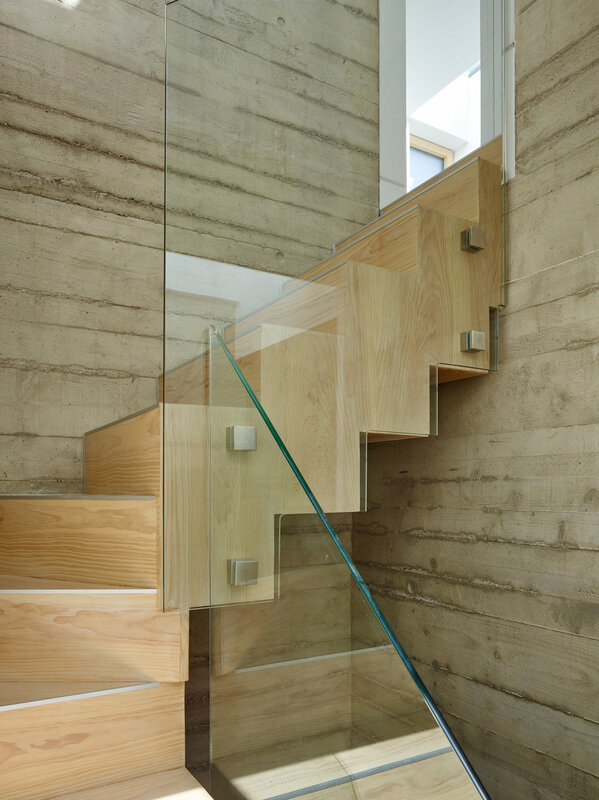 The house’s unashamedly modern interior is completed with exposed concrete walls, a bespoke timber stair case and vast amounts of natural light. 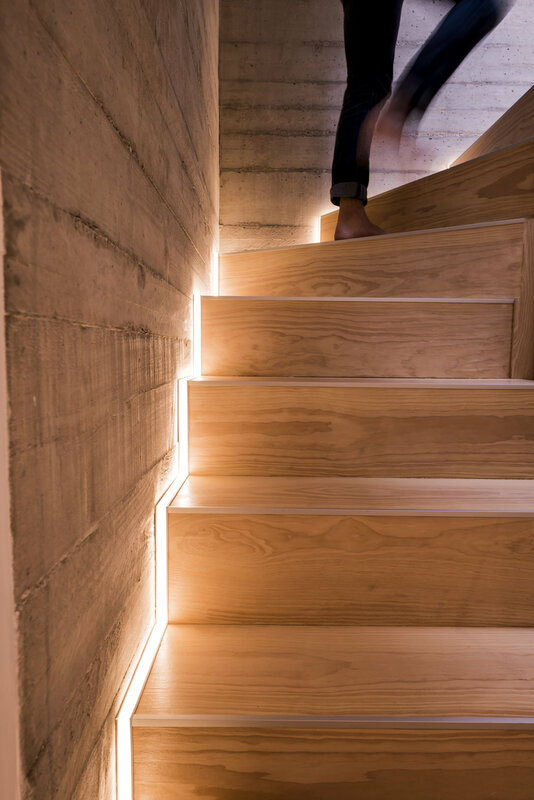 The amount of light brought into the house along with high levels of insulation meant that no heating input is required. This house stands to prove that Passivhaus certification can be achieved without compromising a high quality bespoke design.